For self-employed installers, a day’s training can mean a day’s loss of earnings, but it can really pay dividends for business growth in the longer-term. Graham Aird, Product Manager at Geberit, highlights the benefits of the free training available from manufacturers. Keeping up to date with industry best practice, plugging gaps in knowledge and refining skills are all essential elements that will give any installer the edge in a competitive market. Training is a win-win for both the installer looking for professional development and, ultimately, the end-user. It sounds like a no-brainer, but the reality can be quite different. Self-employed installers, for example, can find their own development taking a back seat to the daily demands of running a business. Many are, naturally, reluctant to take a day off the road to improve their learning. Can installers justify the potential loss of earnings for the sake of training? In short – just how important is training? Let’s look at the more obvious motivation for why installers should think about keeping on top of their skills and knowledge – the bottom line. Product development is constantly evolving, with R&D a big area of investment for manufacturers. At Geberit, for example, we invest 2.3% of our sales straight back into developing the future of our products. 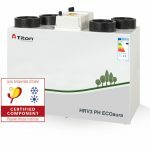 What this means for the installer is that manufacturers are always refining and improving both products and installation techniques. Training provides installers with the opportunity to learn about these new developments and products, not only giving them a competitive edge but also the means to boost their sales. And it’s not just about profit. By improving their own knowledge of the industry, installers will also have the confidence to provide customers with sound expertise and wise counsel, helping to grow their reputation by acting as a trusted advisor. Many self-employed installers will know all too well how easy it is to feel disconnected from everyone else in the industry. Attending a training course provides an opportunity for installers swap tips, exchange best practice and even potentially form new business relations. Don’t underestimate just how valuable a day spent with others in the trade can be. But, arguably the most important case for investing in training is reputation – and not just that of the installer. Comprehensive training is vital to ensure that installers get the most from every application and helps to protect the standard of installations. And that means, in turn, protecting the standard, and reputation, of our industry. All this is why leading manufacturers are investing heavily in training programmes and support for the benefit of those in the trade. 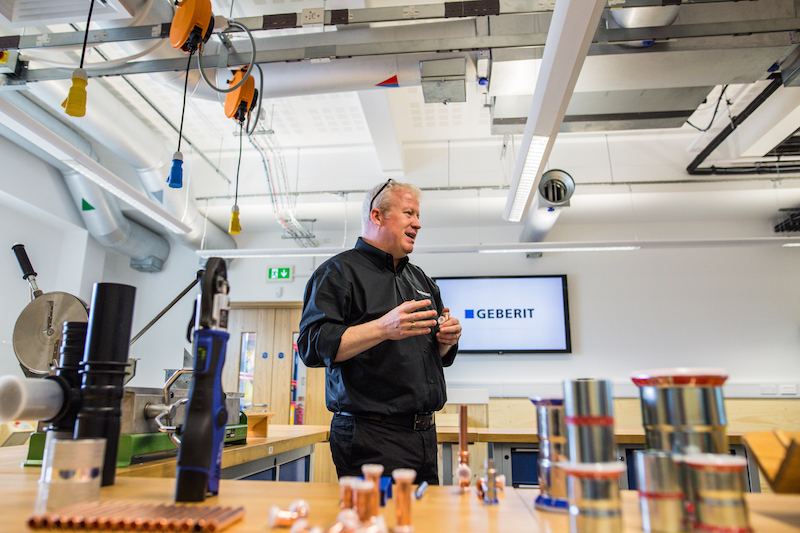 At Geberit, for example, we have recently opened a CIPHE-accredited, state-of-the-art training academy in Warwick, where installers have the opportunity to undertake free training on our supply, drainage and sanitary systems. So, what should installers be looking for when it comes to manufacturer training? 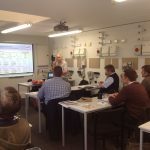 A good training course will combine best practice methods with the specific product knowledge required to maximise the quality, speed and integrity of every single installation. It should also cover an introduction to the latest technology and newest techniques. Manufacturer training also provides installers with an opportunity to ask about the tools required for the job, including ways you can mitigate the inevitable cost of new equipment, as well as the maintenance and calibration requirements to make sure those tools remain fit for purpose. The industry has spent years taking measures against unqualified installers and raising public awareness of the importance of opting for reputable and trusted tradespeople. The importance of installers investing in training and enhancing their knowledge is greater now than ever before. It is one of the simplest steps you can take to grow your business. We are getting asked more to supply Geberit IPS frames and so it’s been really useful learning how to incorporate these framing systems properly. “We’re often asked by architects to specify products. Training helps us advise on this and even add to it. Often designers can cherry pick a product from a brochure, perhaps not taking into account the fact that products may not work together. Training gives us better product knowledge and means that we can advise architects and designers accordingly.